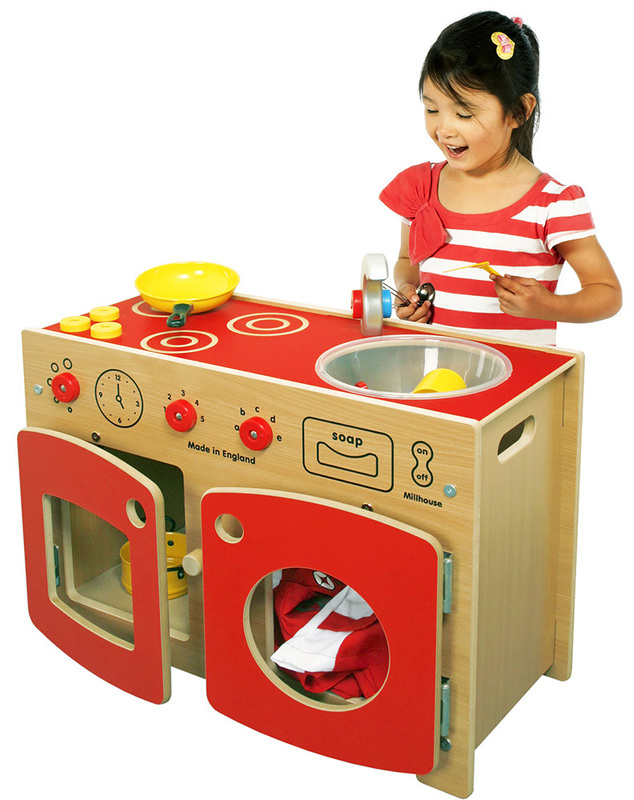 The Wolds complete toddler kitchen is an all-in-one kitchen unit specifically designed for an early learning setting. Constructed from durable, easy clean beech and red melamine panel doors, designed to last in an early years' setting. 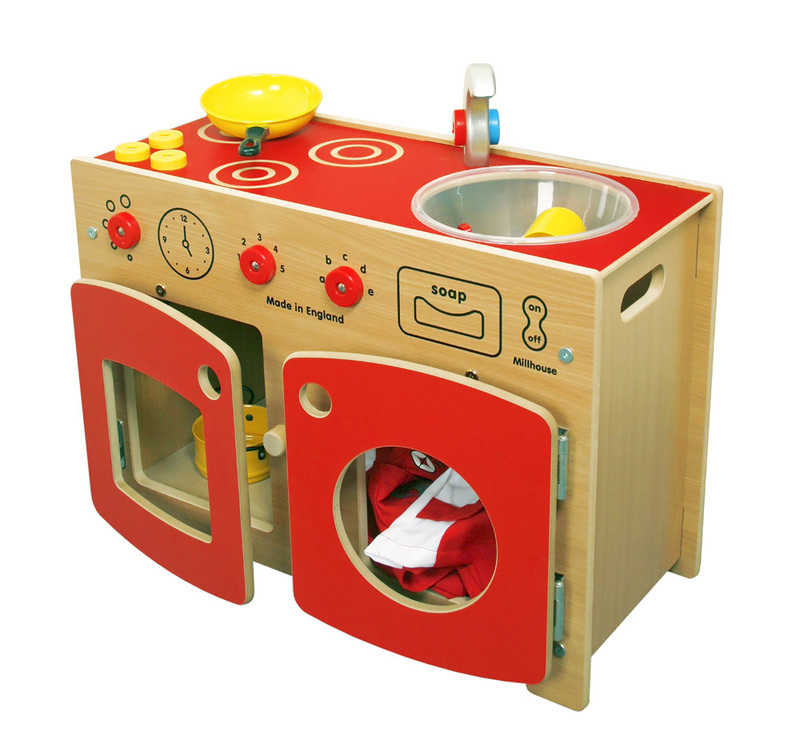 The Wolds complete toddler kitchen is ideal from classroom home corners and group role play areas with limited space. It is an all-in-one unit with washing machine, oven, hob and sink. 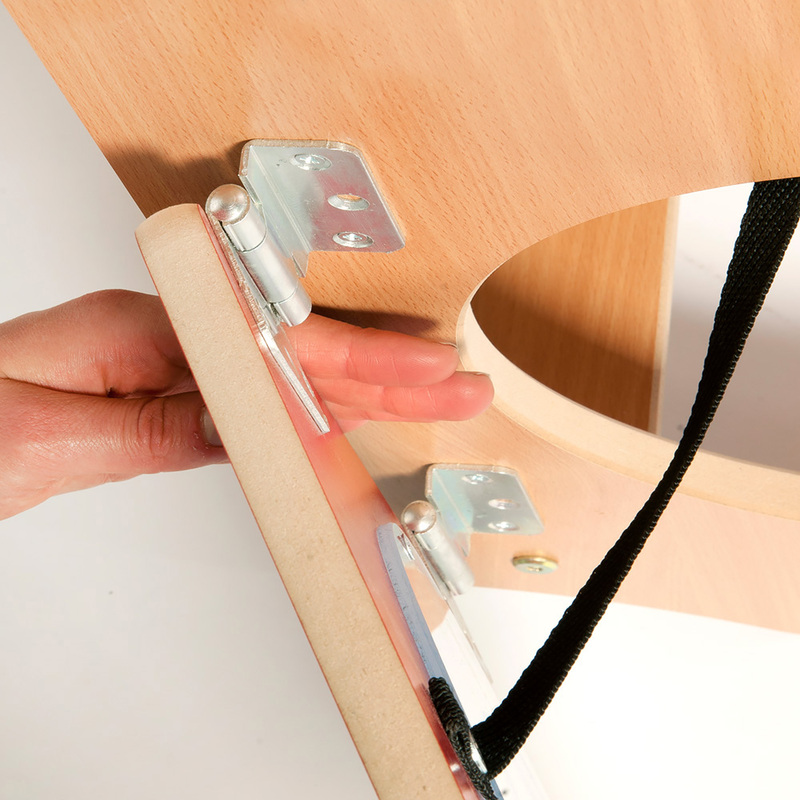 The complete kitchen unit features anti-finger trap doors, rounded corners and tactile edges to provide a safe environment for early years play as well as convenient carry handles for easy storage and transport. Please note: the plastic toys and utensils featured in the product images are not included with the Wolds Complete Toddler Kitchen. For more information please Contact Us or call us on 01733 511121.